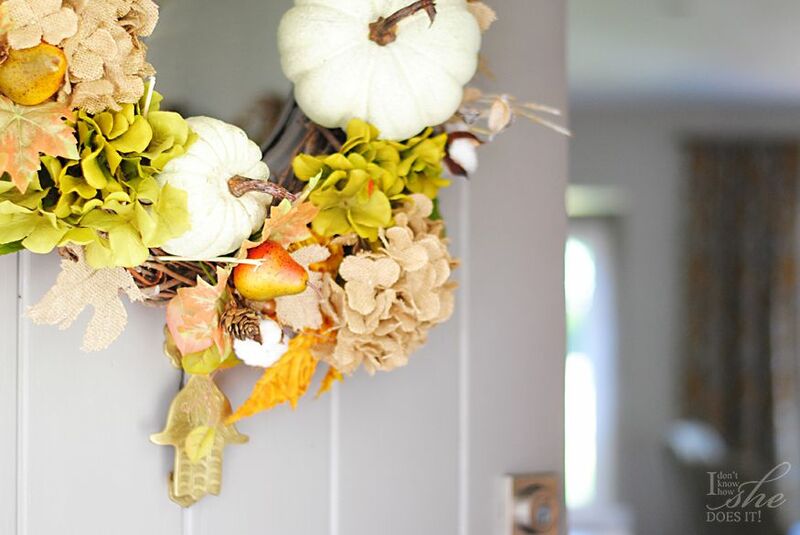 There is no better way to welcome this season than with a colorful door wreath. Find the tutorial here. 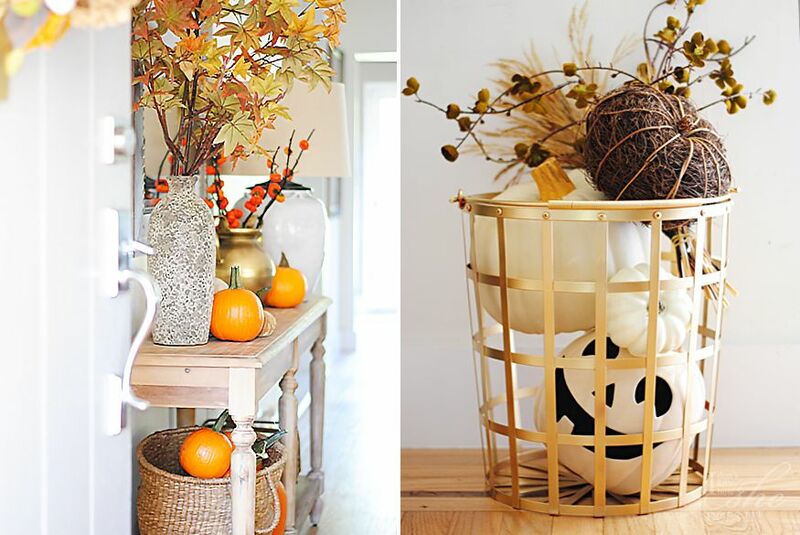 Warmer colors, cooler temperatures, cozy rooms and pumpkin everything; these are some of the things I love the most about Autumn. 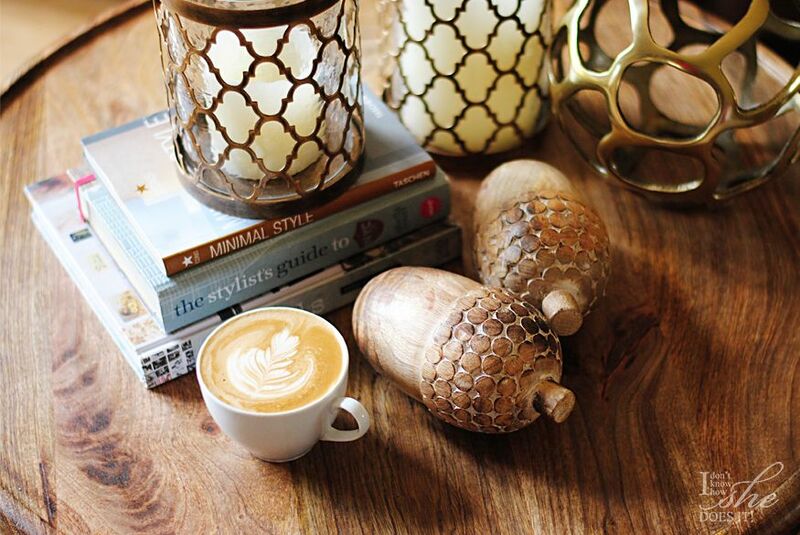 Even though we don’t see the change of seasons here in Miami, there is a certain ” je ne sais quoi” in the air that brings a different mood and ambiance around our home. 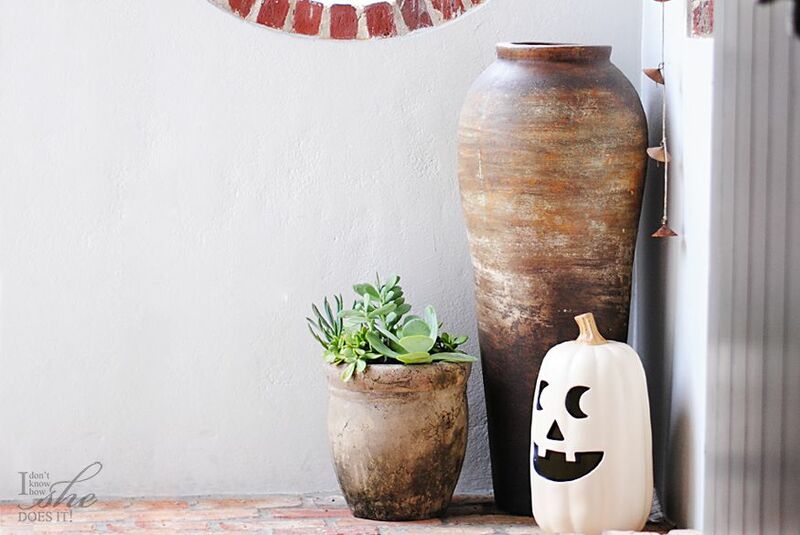 Although Halloween is a couple of weeks away, smiley pumpkins are starting to show around our home. 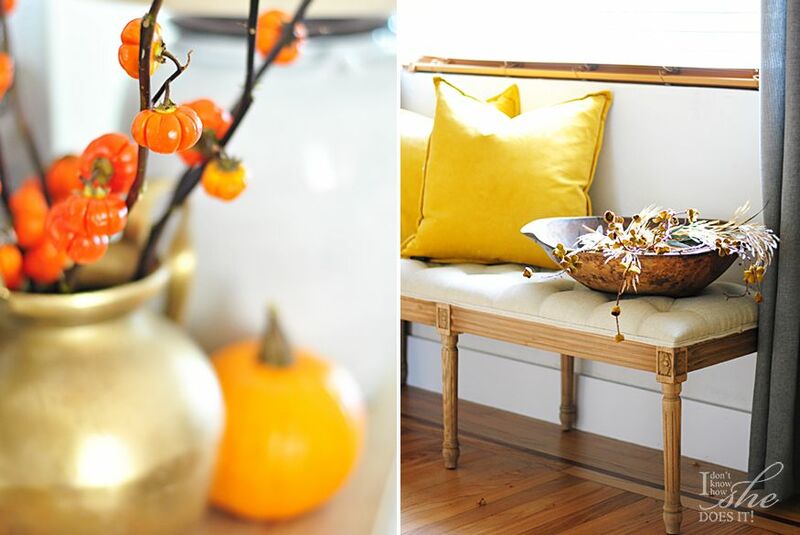 Today I’m sharing some scenes of how I’ve incorporated Autumn around our small house. From touches of orange and gold to soft greens all go in harmony with the neutral palette I usually use. 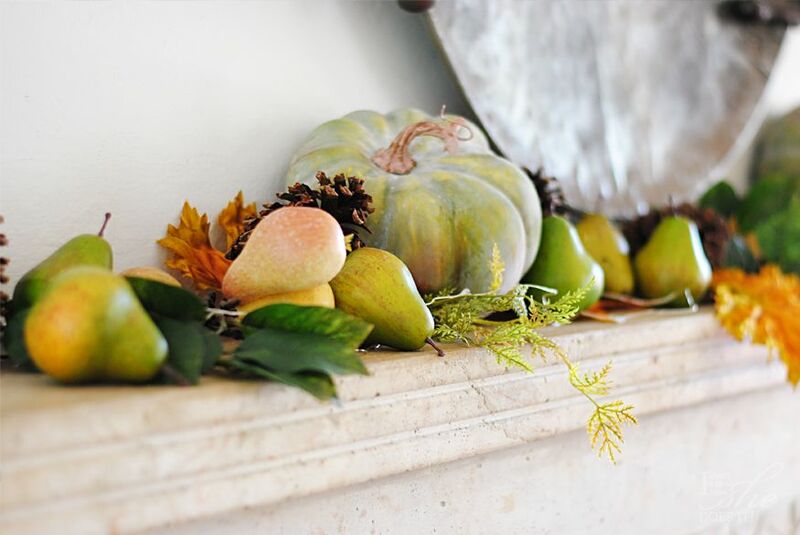 Some faux fruits in the colors of the season are adorning our mantel in the most simplest way. When in doubt, I bought lots of pumpkins in different sizes. They make the whole space look so whimsy! On our small abode, the living room and dining room are one next to the other. 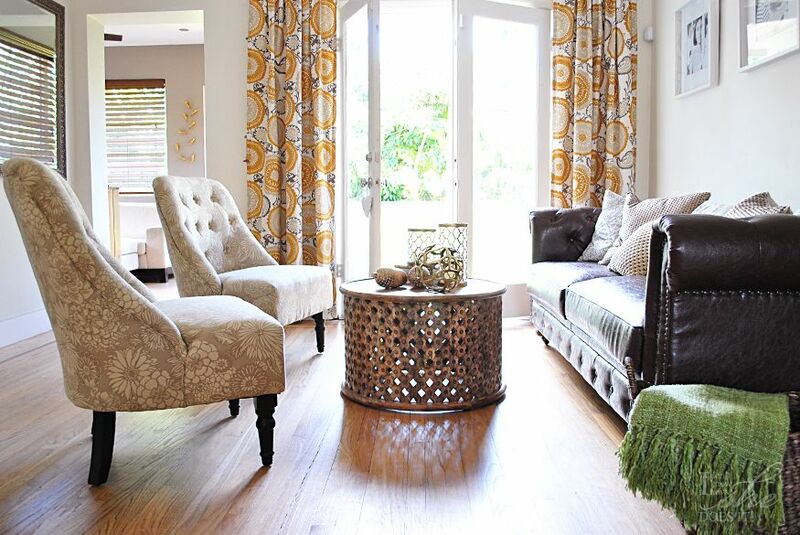 In order to make a soft transition and to avoid making this area feel crowded; I stayed with my neutral palette. Some acorns served as a sweet reminder of this season.. 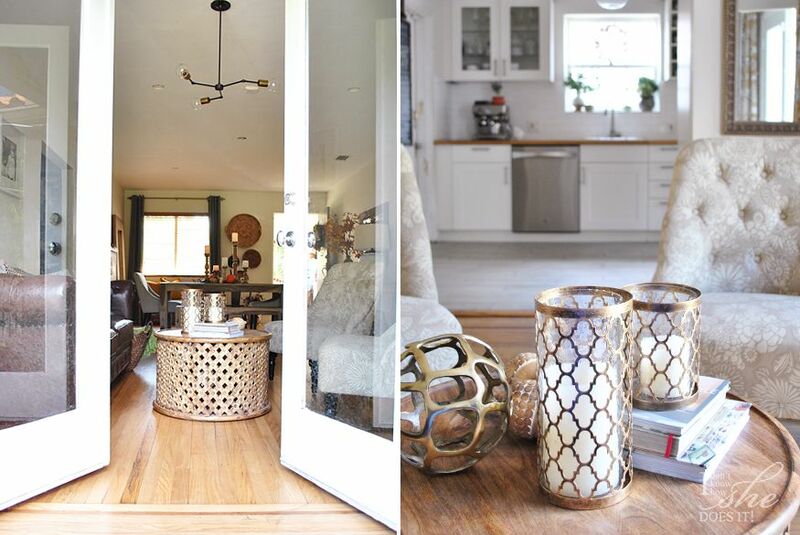 This is a gorgeous space! I just discovered you from Instagram and am excited to follow along! Your style is so beautiful and natural. I could stare at your home all day! Your Fall Tour celebrates the season with such freshness and color and your pumpkins and leaves are nice touches. Beautiful space! WHERE did you get the living room table? I love it. Thank you so much! 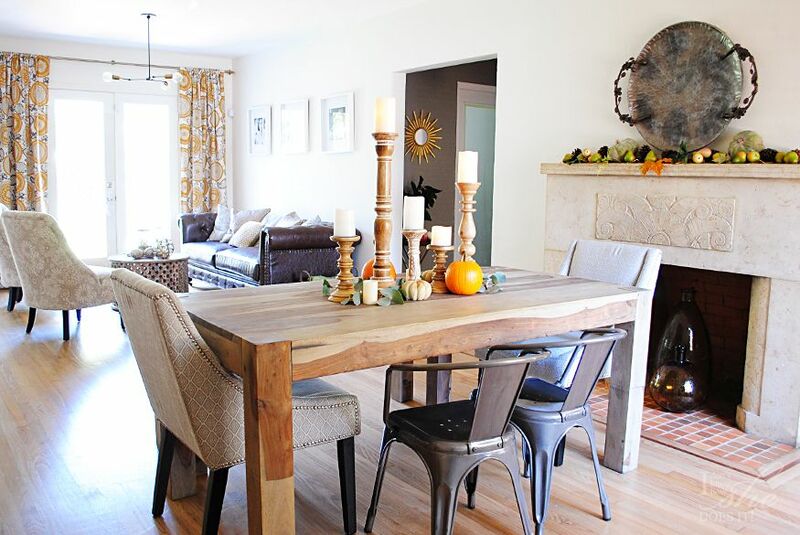 The living room table is from World Market and I bought it online. You can find it under "Tribal Carved Coffee Tables". Hope this helps! 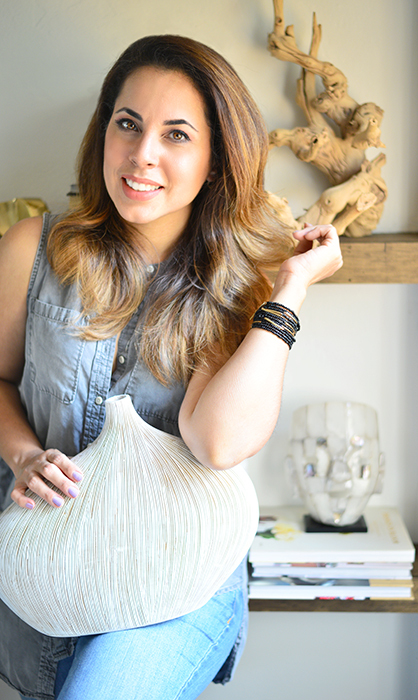 I'm in love with your design talents!! Where is your entryway console from? You are too kind, Ashley! 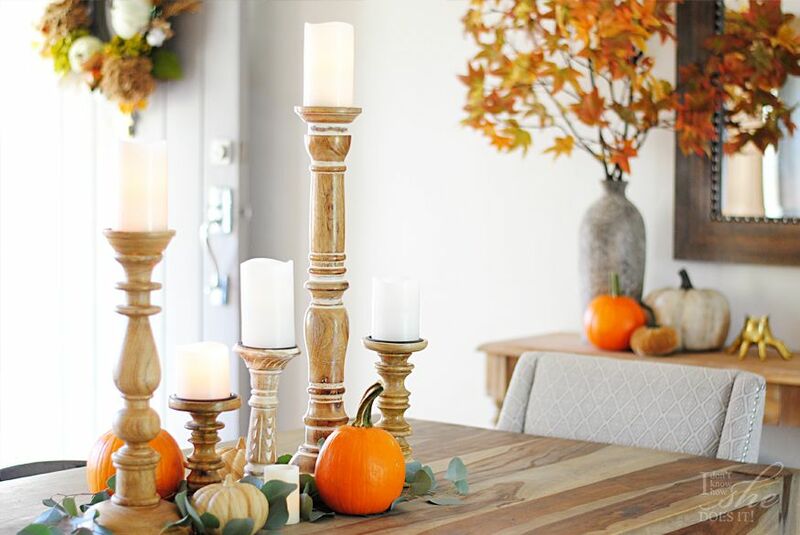 The foyer tables is from World Market (Everett) ! Hope this helps and thanks for stopping by!